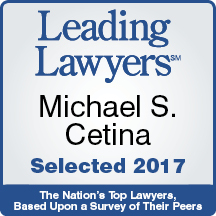 Mike Cetina is a partner with Walsh, Knippen & Cetina, Chartered. He began his career as an Assistant State’s Attorney in DuPage County, IL where he handled misdemeanor and felony trials. He entered private practice as an insurance defense attorney for a 300+ attorney firm in Chicago. He gained valuable insight into the thought process and tactics of insurance companies. He recognized that his desire was to assist those severely injured rather than improve the bottom line of insurance companies. Mike has been an advocate for those who were needlessly injured or killed through the negligence, neglect or wrongful conduct of others since 1990. He concentrates his practice in the areas of medical malpractice, wrongful death, nursing home neglect, motor vehicle & trucking collisions, institutional sexual assault and slip & fall cases. Recovered a multi-million dollar settlement for DuPage County courthouse occupants including clerks, judges, prosecutors and probation officers who sustained injuries and adverse health conditions caused by the “toxic torthouse”. He was featured in the 1992 American Bar Association Journal article regarding the “sick” building. Mike has also been an active member in Bar Associations. He is the past Chair of the Civil Law and Practice Committee for the DuPage County Bar. He has taught at College of DuPage as an Adjunct Professor and was invited to lecture at Benedictine University. He has been a speaker at several Bar Association seminars and has authored several articles. He was a founding member of the Robert E. Jones Inn of Court and served as the Vice President. He has presided over Mock Trial competitions and has taught at the multi-week trial advocacy program sponsored by the DCBA. 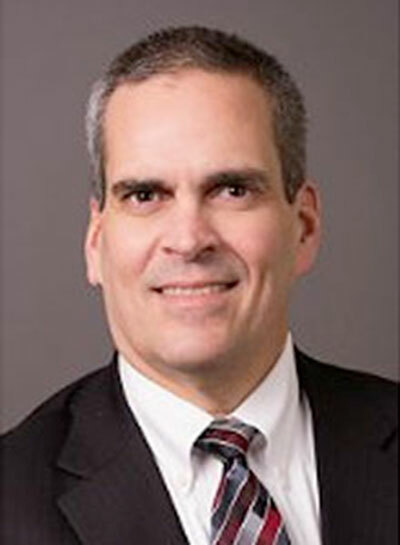 He was trial attorney of the year in the DuPage State’s Attorney’s office and was more recently awarded an AV Preeminent Rating, the Highest Rating in both legal ability and ethical standards. Mike’s interests outside of work include spending time with his wife and four children. He has coached various sports through the Wheaton Park District and coached football for 12 years in Wheaton along with serving on the Board for the Wheaton football.